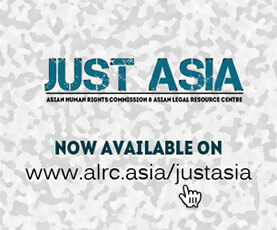 The Asian Legal Resource Centre (ALRC) wishes to inform the UN Human Rights Council (UNHRC) about repetition of cases of arbitrary arrest and detention in Papua (currently Papua Province and West Papua Province). The ALRC has learned that the law enforcement agencies in Papua and West Papua Province have not yet fully respected the Rule of Law and Due Process. This case occurred in Timika, Papua between 9 and 10 June 2018. Police officers of the Timika Police Station (Polres Timika) unlawfully arrested and detained five indigenous Papuans. They were arrested without any arrest warrant, namely Titus Kwalik (48), Polce Sugumol (31), Julianus Dekme (31), Alosius Ogolmagai (49), and Orpa Wanjomal (40). They were accused of being involved in a conflict in Tembagapura, and were allegedly arrested by the special Anti-Terror Police Unit (Densus 88). On 4 April 2018, members of the local Police, Intelligence (BIN), Police Special Units – Police Mobile Brigade ‘BRIMOB’ and the military district command ‘Kodim 1701 Jayapura’ searched several houses in the residential area ‘Perumnas III Waena’, located in the Heram District of Jayapura. The houses were inhabited by students of the Cenderawasih University in Jayapura. Forty-five students were arrested. Subsequently, they were brought to the BRIMOB headquarters in Kota Raja and later detained at the Jayapura District Police Station. Two students were brought to another sub-district Police Station in Abepura (Polsek Abepura). Finally, 43 students who were detained at the Jayapura district Police Station were released the following day. Two students remained in custody in sub-district Police Station in Abepura (Polsek Abepura). They are likely to face criminal charges in relation to an alleged theft of several motorcycles. The police seized 35 motorcycles as well as laptops, a morning star flag and other political emblems during the house searches. Between 18 and 19 November 2017 there was a case of unlawful arrest and detention in Timika Papua. Mr. Isak Dewayekua (23), an indigenous Papuan, was unlawfully detained and tortured to death by Sergeant First Class La Dilli Wance, Private Fredrik Pattiasina and Private Abiatar Harri–all Army Personnel of Yonif 755/Yalet Papua. After torturing Isak to death, the army personnel forced Isak’s family to accept monetary compensation and sign a letter which demanded that the family drop the case. However, due to massive pressure from national and international human rights organizations, the case is currently being tried in the Military Court III-19 Jayapura Papua. On Friday, 30 June 2017, the KNPB (National Committee for West Papua) discussed an event to be held on July 1. Subsequently, on July 1 at 8:15 a.m., before the event, KNPB and its members prepared a list of members who would distribute printed statements to the public in Nabire. At 9:20 a.m., all the members left the Secretariat and went to the street to distribute the statements. After distribution, all the members returned to the Secretariat. They said that nothing happened while they were handing out statements on the street. However, they suddenly realized that one of their members, Mr. Yanto Waine, had not yet come back. They went to search for Yanto’s whereabouts. Two days later, on July 3, they received information that Yanto was arrested while distributing the printed statements on the street. On 21 November 2017, the Jayapura District Police arbitrarily arrested 14 indigenous Papuans in Nimbontong District. They were on their way home to Juk Lereh, Genyem District. During their detention at the Sub-district Police Station, the arrestees were accused of being members of an armed separatist movement. The Police prevented a lawyer and a local journalist from meeting with the arrestees. Above are examples of some cases which gained public and media attention. We do believe that there might be more cases remaining, occurring on the ground. This is due to limited access for international media and human rights organizations to access and monitor human rights in Papua. Furthermore, previous similar cases also remained unaddressed. Take for example the unlawful detention and torture to death of Mr. Edison Hesegem, in the Highland City of Wamena Papua on 11 January 2017. The ALRC also learned that one of the most serious problems in the Indonesian Criminal Justice System is that of Pre-trial Detention. Under the Indonesian Penal Code Procedure (KUHAP), Police can detain suspects for 20 days and extend for 40 days. In total the Police can detain suspects for 60 days. Besides detention, the police also have the authority to arrest and keep an accused for 1X24 hours in Police custody. If the accused is found guilty he or she will be detained for a maximum of 60 days. Pre-trial Detention gives additional opportunities for Police to commit abuses of power. In the above-mentioned cases, detentions were made unlawfully without arrest warrants or summon letters being proffered. We also note that the lack of an Oversight Mechanism also contributed to the considerable cases of unlawful detention. The National Police Commission, the National Commission on Human Rights and even the Republic of Indonesia’s Ombudsman have yet to fully contribute to strengthen the Oversight Mechanism and prevention of abuse of power and human rights violations in Papua. Ironically, despite the fact that the Government has established a local office of the National Commission on Human Rights in Papua, there has been no contribution from the local office. 2. Avoid enactment of a new Bill in favour of arbitrary detention. Instead, the Government should strengthen the Due Process of Law, and adopt Fair Trial Principles at all stages of the judicial process. 3. Prod Parliament to urgently complete the revisions of the Penal Code and the Indonesian Criminal Procedure Code, in order to stop or at least reduce the practice of arbitrary arrest and detention. 4. Officially invite and cooperate with the Working Group on Arbitrary Detention to visit Indonesia, as part of the current Government commitment to strengthening human rights protection.